The focus for this unit is experiencing the outdoors. 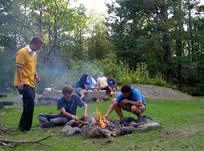 Students are encouraged to engage in outdoor adventure activities. An experiential approach is used to discover what being active in the environment is all about. Students are introduced to outdoor adventure activities where they can develop and improve technical skills and apply appropriate practices to ensure safe participation. They understand basic planning and organisational requirements necessary for them to participate in safe, short duration excursions/expeditions in selected outdoor activities. They begin developing skills in roping and navigation. Students are introduced to personal skills and interpersonal skills, including self-awareness, communication and leadership. Features of natural environments and examples of local environmental management and ‘Leave No Trace’ principles are introduced. The focus for this unit is facing challenges in the outdoors. This unit offers the opportunity to engage in a range of outdoor adventure activities that pose challenges and encourage students to step outside their comfort zone. Students consider planning and resource requirements related to extended excursions/short duration expeditions. They are introduced to simple risk assessment models to assist decision-making and apply safe practices to cope with challenging situations and environments. They develop time management and goal setting skills to work with others and explore strategies for building group relationships. They understand the main styles of leadership and how to use strategies to promote effective groups. Features of natural environments and components of weather are introduced. Conservation, biodiversity and environmental management plans are also introduced. To establish optimal teaching, learning and assessment situations for this unit, it is compulsory that students participate in at least one single day excursion and a minimum of an overnight expedition in a natural environment. There will be a camp as part of the course offered and the chance to do a one day excursion to practice snorkelling skills.